An added bonus to growing flowers for the bees is attracting different pollinators. Dozens of butterflies fluttered onto our flowers. 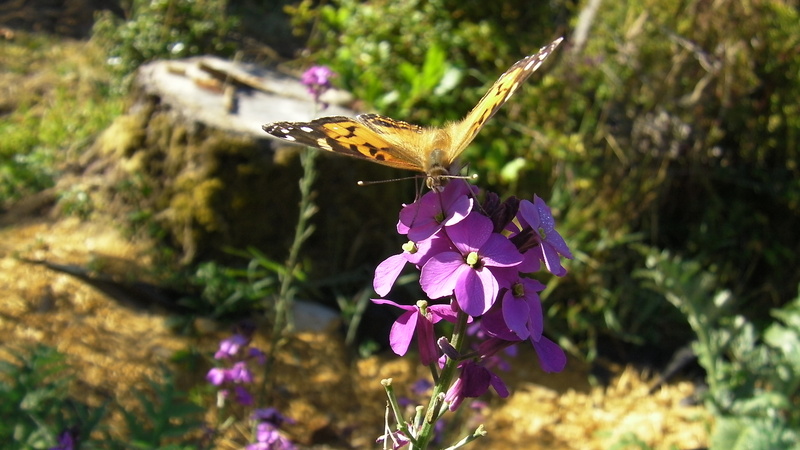 The Wallflower, Erysimum has been blooming all summer and today it was visited by an American Lady. Will Cook was kind enough to answer my late night email inquiry and identified it. An American Lady shows off her two eye spots on the underside of her wings. 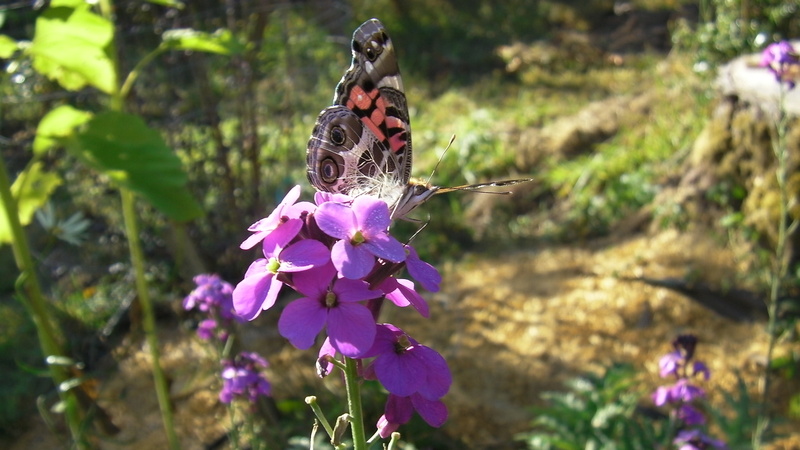 This short video shows the butterfly probing the flower with her proboscis. Sometimes it takes a few tries before the nectar is located. For more information about butterflies, check out this web site.